I went on an overnight trip to “Yamaga onsen” with my family last week. 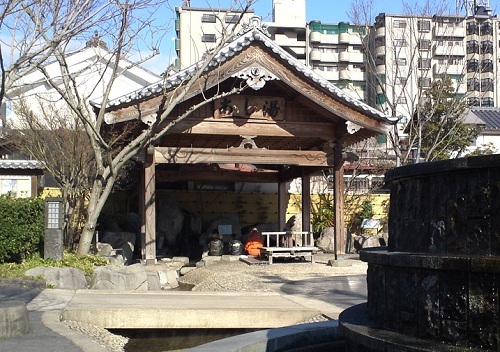 An onsen is a mineral hot spring spa. Yamaga onsen is located within an hour’s drive, but we stayed one night for a change. The hotel we stayed in was “Yamaga New Grand Hotel”. The room was a Japanese-style room. In those kinds of rooms, the guests sleep on a futon instead of a bed. The housekeepers move the table aside and lay out futons on the tatami covering the floor while guests have dinner. “How to Enjoy a Japanese Bath” is taken from “Japan Ryokan Association Kinki“. I saw the poster displayed in another onsen. Before seeing the poster, I had no doubt I should wash my body first and then soak in the tub, because everyone around me do so. However, the poster said just rinsing is OK before sitting in a hot spring. Isn’t it unsanitary? But I’ve never heard of infection in hot spring. Umm I think I can say the same for a swimming pool? 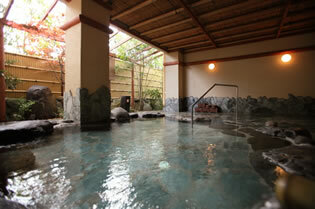 An onsen may be better than a pool because the abundant hot water is bubbling up all the time. The hot water will warm you down to your core. It might make you very sleepy. After sleeping, you can refresh yourself. An Onsen is also good for beauty. While resting in a bath, your skin will feel smooth. By the way, I ‘ve been going to an onsen with my daughter since she was a baby. We are used to seeing each other’s naked bodies. I think it would be an embarrassing thing for non-Japanese people. I also would be embarrassed with friends. It is a little embarrassing for me to take a bath at a fitness club. 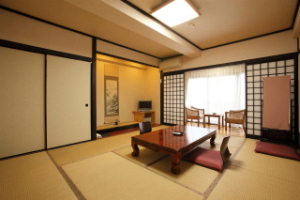 Room prices at hotels and inns around onsen usually include breakfast and dinner. 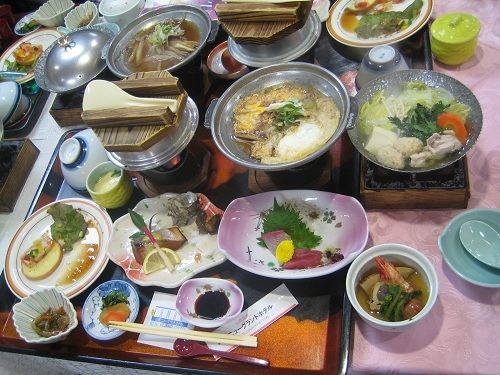 The dinner is made with typical Japanese dishes. You can’t choose. But nobody complains about it because it’s delicious. 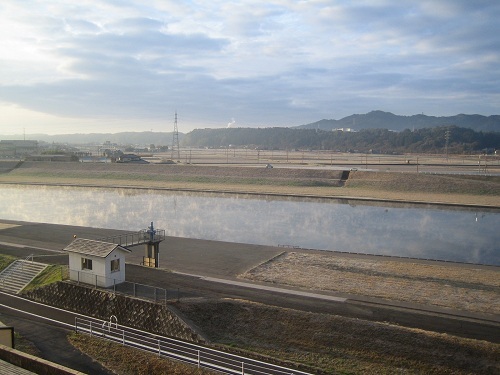 The Kikuchi River flows by the hotel. It was fine in the winter morning, but bitterly cold. We took another onsen bath at Sakurayu. 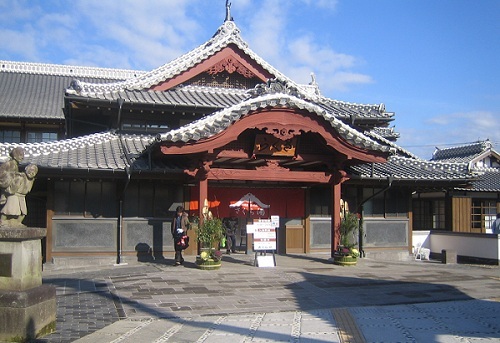 Edo-period onsen facility was rebuilt last year. 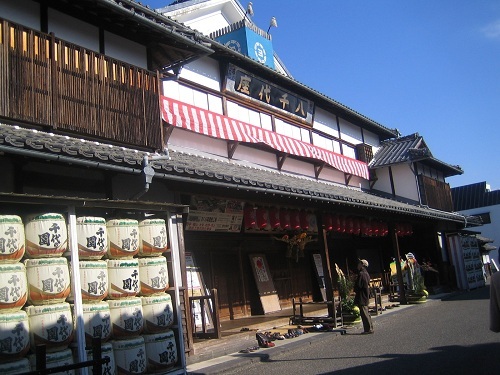 Sakurayu was the onsen for the lord of this area during Edo era. We went for a little walk. 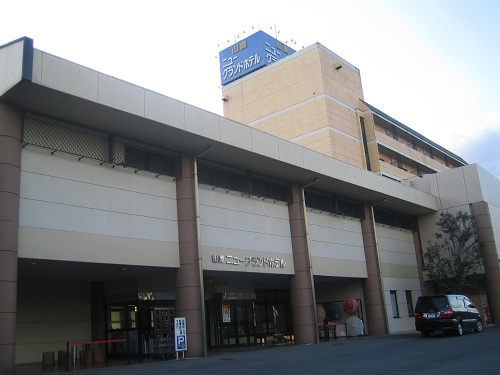 This is the theater “Yachiyo-za”. It is in use nowadays. 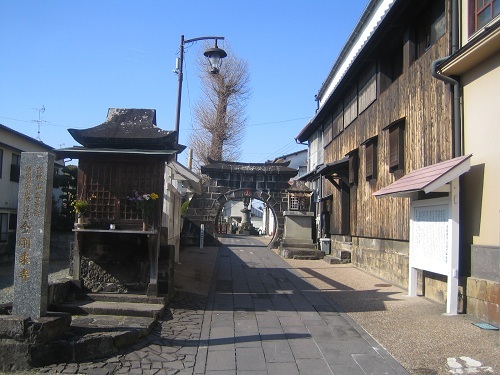 Here is the temple “Kongou-Jouji” and a unique stone-gate. There is a public foot bath in the park. That sounds like such a relaxing time! When I visit I hope to visit an onsen. I would be shy to be naked here at home but being naked with strangers in another country doesn’t seem to bother me. I probably will never see them again. I am worried about which onsen I could visit because I have tattoos. I hear they are not allowed in onsen. Unfortunately, most onsen facilities refuse people with tattoos. So I suggest you should take an onsen bath trying not to draw attention to tattoo. But just because you are a foreigner, people might look at you with curiosity. LoL In case, there is a private bath called Kazoku-yu, which is used among a couple or a family. Also I posted my reply to the Liebster Award. Thanks again for the nomination. WOW! Many big tattoos? (@o@) What design of tattoos do you have? Good Luck at onsen! Glad that you had a relaxing “mini-vacation”. The food looks so good! I didn’t know about the rinse-soak-wash-soak method. I just thought it was wash then soak. I had the opportunity to go to a Sentō once, but my hosts wanted to go early in the morning… I wanted sleep more than being naked in front of others! Hopefully when I get to go back to Japan I can try an onsen. Aha,early in the morning I prefer sleep to sento too. Try an onsen next time. The water looks the same with sento, but the feeling is different! Great pics! I really liked the one with Japanese dishes….oh, I miss the food from Okinawa so much! Seeing it here just brought good memories. Have you been to Okinawa? I’ve never been there. I hope to visit islands in Okinawa in the future. The sea seems to be beautiful. Yes, I lived there for a little over a year. Oki is truly beautiful and I miss it. 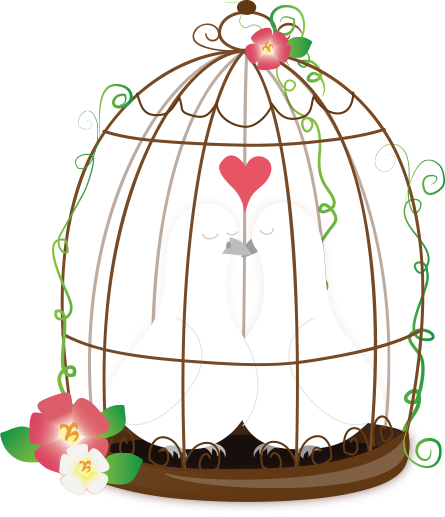 I hope you do visit and when you do, let me know. I will tell you some favorite spots of mine so you can see them while you are there.